This expert advisor is based on a classic system built on few and effectiveness technical indicators. Main signal is obtained from MACD indicator, the signal is then filtered on Relative Strength Index (RSI) indicator and also a third indicator such the Stochastic oscillator. The EA also deal with Stop Loss and Take Profit levels, in order to keep risk and money management under control. 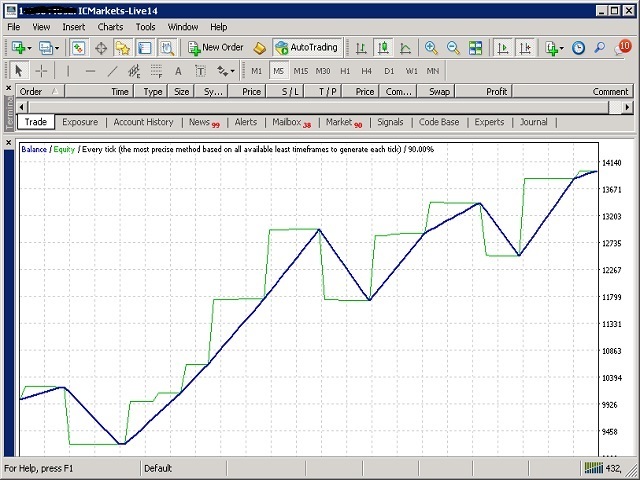 Every trade is closed by trailing method, with input parameters to choice trailing stop level. System is simple but profitable, you only have to find best combination of time frame, cross currency and the various parameters described below. So, it is strongly recommendend to run optimization on your MT4 station to fit best configuration on your account (demo or real). For example, i got good results on EURUSD with H1 TF (see testing results screenshots below from 2018/1 to 2018/12), but you can try other currencies with any timeframe after proper optimization. Screenshots below are taken from MT4 testing process on my real account, with standard configuration on EURUSD H1. Better results reducing SL limit (from 100 to 50 pips). Use on real account after getting parameters obtained after a proper optimization. Do not forget to optimize parameters for the current market from time to time. Enjoy this EA and make a lot of money!